JoshuaStation: God is SPEAKING!!! Are you listening? God is SPEAKING!!! Are you listening? Do you need an encouraging word from the Lord? He loves speaking to you. His love is everlasting! 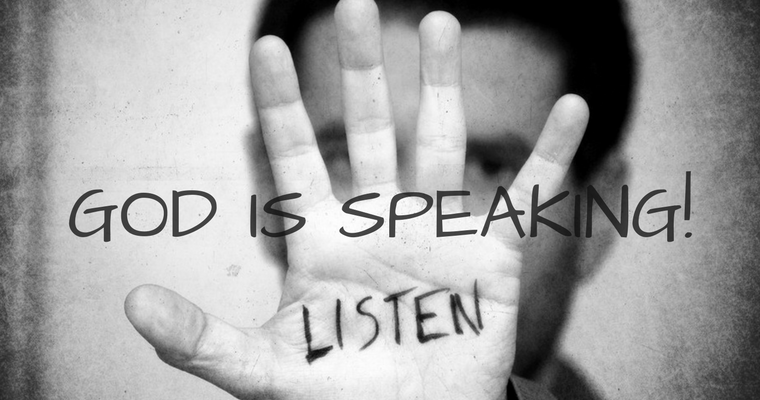 I believe God still speaks today and not just through the Bible as some have been led to believe. Yes, the Word of God is living and active, sharper than any double-edged sword (Hebrews 4:12). If you listen for His voice, you will hear him. If you need a word from the Lord, let me know and I'll ask God what He has for you. Blessings and Encouragement are yours!